The UN Security Council late Friday unanimously adopted a resolution obliging Damascus to hand over its chemical weapons, though it requires another resolution to use force against Syria if it fails to comply. While both Russia and the U.S. interpreted the resolution in their favor — despite the former opposing a military strike on Syria and the latter speaking in favor of it — Russian political analysts praised the outcome as a major diplomatic achievement by Russia. "The resolution results from a Russian initiative, and because its outcome is the absence of a military intervention in Syria … this undoubtedly is a success of Russian diplomacy," Valentin Zorin, a veteran foreign policy expert with the Voice of Russia, told The Moscow Times on Sunday. The resolution, drafted in response to a chemical attack near Damascus in August that killed hundreds, also "saved the United Nations' [reputation]," Zorin said, because a U.S. attack on Syria before a decision by the Security Council would have "undermined the authority" of the international body. The text of the resolution, posted on the UN's website Friday, says international inspections in Syria will start by Tuesday and that weapons will be eliminated by mid-2014. The document emphasizes that "the only solution" to the Syria crisis is through a "political process" based on the Geneva Communique of June 30, 2012, and it calls for convening an international conference on Syria in the near future. 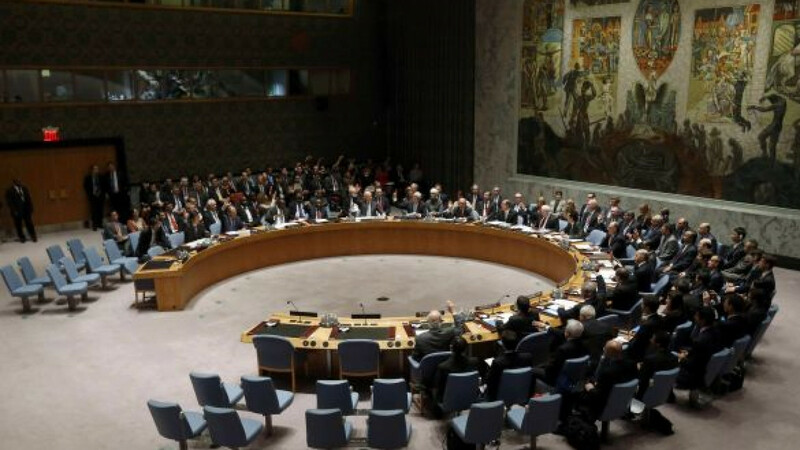 Security Council members all agreed that they were "opposed to any further militarization of the conflict," but they also expressed a "strong conviction that those individuals responsible for the use of chemical weapons" in Syria "should be held accountable," the resolution read. The document "provides for the referral of cases of noncompliance" to the UN Security Council, in line with Chapter 7 of the UN Charter. Foreign Minister Sergei Lavrov seemed to confirm this, saying after the council meeting Friday that "the UN Security Council … will stand ready to take action under Chapter 7 of the [UN] charter, quite clearly," Reuters reported. That comment was not reported in Russian media, however, and in an interview with state-run television Channel One on Friday, Lavrov said the opposite — that the resolution "absolutely excludes the use of force and in general any implication of Chapter 7 of the UN Charter," the Foreign Ministry's website reported. Actions against Syria for violating the resolution would require another UN Security Council resolution, Lavrov said, stressing that the current resolution would hold both the Syrian opposition and the Syrian government responsible for any violation of its terms. Contrary to Lavrov's words, however, U.S. Secretary of State John Kerry emphasized that "in the event of noncompliance, the [Security] Council will impose measures under Chapter 7 of the UN Charter," the U.S. State Department's website reported. Kerry also expressed satisfaction with the resolution, noting after Friday's meeting that the UN Security Council "has demonstrated that diplomacy can be so powerful, it can peacefully defuse the worst weapons of war," stated the U.S. State Department website. Republican senators John McCain and Lindsey Graham were not so pleased, however, saying the resolution "contains no meaningful or immediate enforcement mechanisms, let alone a threat of the use of force for the Assad regime's noncompliance," The Associated Press reported. Alexei Pushkov, head of the State Duma's International Affairs Committee, seemed to take delight in McCain's "discontent," writing on Twitter on Sunday that it was "an unmistakable sign of our success." Fyodor Lukyanov, editor of Russia in Global Affairs magazine, expressed another opinion, saying the resolution was not anyone's diplomatic victory but rather "a diplomatic compromise." "This is when the parties make concessions but maintain their ground, and this allows each party to interpret [the resolution] in its favor," Lukyanov said by telephone. The procedures for the destruction of the Syrian government's chemical weapons are spelled out in the decision of the Organization of the Prohibition of Chemical Weapons, which was also passed Friday and published on the organization's website.